Zentatsu Baker Roshi will teach a Weekend Seminar from February 2-4 in Boulder. It will be held at the Chautauqua Community House, a beautiful venue at the base of the Flatirons. 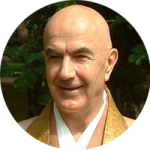 Baker Roshi will introduce the topic on Friday (February 2), while the main seminar will begin on Saturday morning (February 3). The topic will be developed through informal dharma talks, question and answer, open discussion, and small groups. It is not necessary for participants to have experience with Zen practice, or familiarity with Baker Roshi’s previous seminars.